The pairings are crucial: Some Dancers will benefit from "the luck of the draw." However, the Producers will try to take "luck" out of it: They will pair-up the dancers that they think will win the hearts of America the most. For example: pairing Katie and Joshua was pure magic last year — as was the pairing of Chelsie Hightower and Mark Kanemura. Benefiting from the "luck of the draw" last season was Jessica King and Kherington Payne. They rode the coat-tails of judge-favorite Will Wingfield and people-popular Twitch, all the way to the Top 10 Tour. Here are photos and brief bios of the Top 20 Twenty Dancers . . . Wah Hoo! Evans began dancing at an early age and performed in the closing ceremonies at the 2002 Salt Lake City Winter Olympic Games. She currently attends Utah Valley University where she is majoring in elementary education. Kinney graduated from the Baltimore School for the Arts in 2005. She danced at North Carolina Dance Theatre as an apprentice for two years and is an experienced gymnast. After beginning as a competitive gymnast, Kinney found her way to dance though an acrobatics program at “C&C Dance Company”. After graduating from Baltimore School for the Arts in 2005, she then joined North Carolina Dance Theater, first as an apprentice then later as a second company member. Kondoh loves swimming, golf and tennis and has played piano for 13 years. She is a graduate of University of California, Irvine, and has worked as a Latin Ballroom instructor for the last two years. Manrara began performing in musical theater at age 12, and started her formal dance training at 19, studying Ballroom, Ballet, Pointe, Jazz and Hip Hop. She currently attends Florida State University. A recent graduate of the Ransom Everglades School, Mason plans to attend the University of California, Los Angeles in the fall. She began her dance training in Ballet and Lyrical and then went on to study Jazz, Acrobatics, Hip Hop, Modern and Contemporary. Radomski has been dancing for most of her life, and participating in SO YOU THINK YOU CAN DANCE is one of her most rewarding experiences. She is grateful to her amazing mother who has supported her love of dance for so many years. Radomski also enjoys acting and singing. Sandvig has been dancing for most of her life. She has danced with the Milwaukee Ballet Company, LA Opera, Long Beach Ballet and Helios Dance Theater. A highlight for Sandvig was performing “Le Coeur Illumine” at the Dorothy Chandler Pavilion. Torres is a graduate of Skyline High School. She began dancing when she was 6 years old and now teaches at a studio near her home. She was also a Miss Washington Teen pageant winner, and was a Seattle Storm and Seattle Sonic Jr. dancer from 2000-2003. Valerio has been dancing for most of her life. She is a graduate of Mountain View High School. Aweau graduated from the Kamehameha Schools and has been dancing since he was 16 years old. He loves his home state of Hawaii, and is an avid collector of home furnishings. Bellissimo has been dancing for most of his life. He is a graduate of Frontier High School, and played on the school’s soccer, football and lacrosse teams. He likes to write short stories and poems, and his favorite professional dancer is Barry Lather. He finds inspiration working with children in a local pre-school and mentoring young kids between the ages of 6-12 in an after school program. Bryant began dancing ballet at age 10. He is a graduate of Coral Reef Senior High School and now attends Miami Dade College. 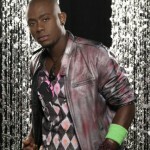 His most memorable dance experience was performing for Madonna at her daughter’s birthday party. 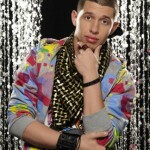 Chbeeb has had no formal dance training, but began dancing when he was 15 years old. At age 16, he founded the Marvelous Motion Studio in Houston. He is currently an engineering physics major at Loyola Marymount University. Glover began dancing at age 12, studying Tap and Hip Hop. 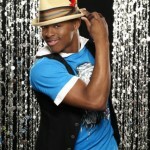 He is a graduate of Bullard High School, and his favorite dancer is Michael Jackson. Tapping onstage with Gregory Hines, in one of his last shows, changed Jason’s life. Jeune began dancing at age 18, and is a graduate of Florida’s New World School of the Arts. 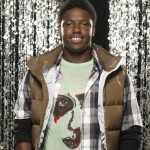 He loves motorcycles, and his favorite dancer is Desmond Richardson. Kapitannikov has been dancing for as long as he can remember. He comes from a dancing family, and his mother is a ballet teacher. He also enjoys sculpting and playing the guitar. He attended the Manhattan Comprehensive High School. Kasprzak graduated from Wylie E. Groves High School and currently attends Illinois Wesleyan University. He has been dancing since he was 6 years old, and his most memorable dance experience was performing in a Gregory Hines tribute with Hines’ family in the audience. Obayomi has been dancing since he was 6 years old. He is a graduate of Corona Del Sol High School and currently attends Chapman University. A dance highlight for him was performing at Radio City Music Hall. Watch to see if any of these "minimal-exposure" contestants are paired with each other? This will point to the fact that the producers are setting up a particular couple for early departure. Nevertheless, ANY couple can end up staying on the basis of fantastic dance performances. The contestants with the MOST TV time going in are: Brandon Bryant, Phillip Chbeeb and Evan Kasprzak, who all got good exposure this year as well as a fair amount of TV Time one season ago; Kupono Aweau is a Mark Kanemura carbon-copy and is memorable; Caitlin Kinney enjoyed TV exposure through the "will the sisters make it" drama; Janette Manrara is this year's Florida Salsa girl. Whoever gets teamed up with Brandon Bryant, Phillip Chbeeb, Evan Kasprzak, Kupono Aweau will be girls that the Judges think are the best of the best — because these men are likely to have enough popularity to pull their partners through the first few rounds. BUT if certain couples get just the right music, and just the right dance style . . . then a couple with NOT-SO-MUCH prior TV time can get a leg up on the competition, and create their own popular momentum. The producers can control this somewhat: They can randomly pull out of a hat, exactly what is needed to promote particular couples (in other words, the dance styles chosen only appear to be random, and the Producers are pulling the strings from the get-go).